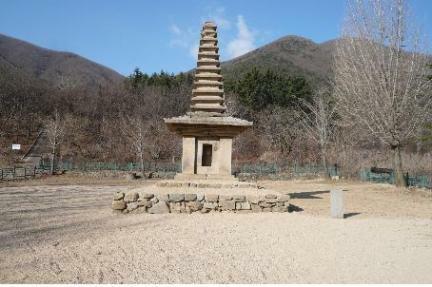 The stone pagoda at the Jeonghyesa Temple Site in Gyeongju has a unique thirteen-story structure quite unlike that of any of the other surviving pagodas of the Unified Silla Period, and has remained unchanged since the 9th century. 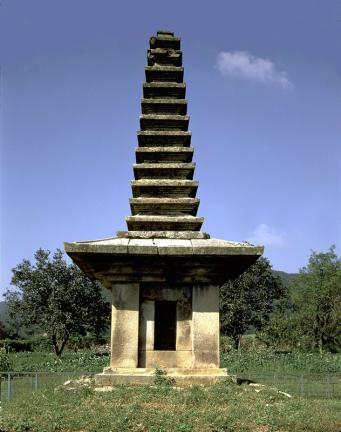 The pagoda’s thirteen-story body stands on a single-story earthen platform. Although the first story is huge, the pagoda tapers sharply from the second story upward. The main body of the first story has a square stone pillar at each of its four corners, with auxiliary pillars erected inside the four pillars to create an opening. The roofstones and their supports are all made of different stones, and their corners are raised to create a light impression. 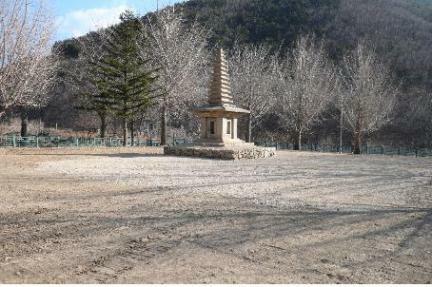 Only the base of pagoda finial remains of the upper extremity of the pagoda. 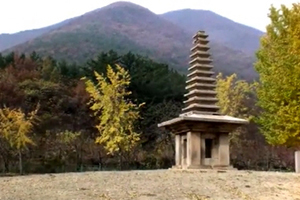 As well as having thirteen stories, this pagoda is unique for the air of stability created by highlighting its first story and gradually reducing its size from the second story. The platform also departs from the common style. 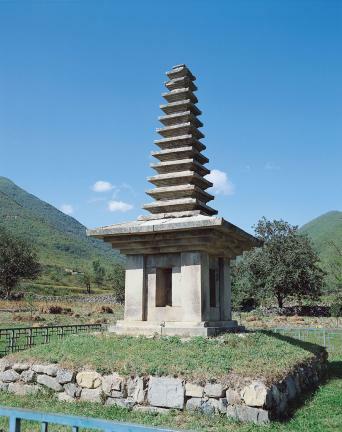 Thanks to these unique characteristics, the pagoda is a precious resource for studies of stone pagodas of the Unified Silla Period.